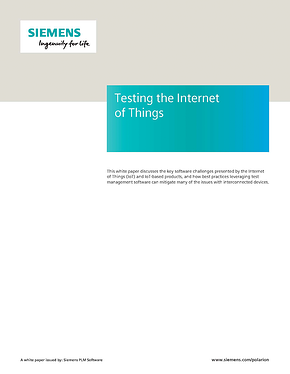 In this whitepaper, we discuss the key software challenges when dealing with Internet of Things (IoT) based products and how best practices leveraging Test Management software can mitigate many of the issues with connected devices. Gartner estimates there will be 50 billion connected devices by 2020, which is probably a conservative estimate. Ranging from automobiles, light bulbs to smoke detectors - even the watch you are wearing may already be embedded with connected software. The rapid adoption and popularity of interconnected devices is creating multiple new opportunities and challenges.